People from just about every culture on earth have occasionally faced restless, sleepless nights. 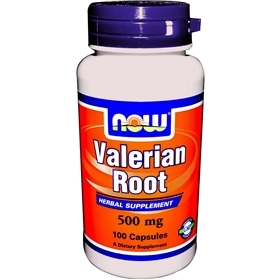 Fortunately, natural relief is available in just about every corner of the globe, from Valerian root. This 100% natural, safe and non-addictive herbal extract works in the brain by inhibiting the nerve impulses that prevent the body from attaining pure, uninterrupted slumber. In addition, the majority of Valerian users report feeling refreshed upon waking – free of drowsiness, and ready to face the day! NOW Valerian provided the effective potency to provide a theraputic effect. This herb is most commonly used to treat sleeplessness and sleep problems. The valerian herb also benefits people who wake up during the night. Some studies show that the herb may provide quick relief for poor sleep, but it may take two to four weeks of daily use to bring improved sleep for people with serious insomnia. It can lessen the harmful effects of stress on a person’s body, so it can also be an effective therapy for nervousness and anxiety. Valerian when taken three times or more during the day, including taking it before bedtime, relieves anxiety. It can also eases menstrual cramps, can ease stomach cramps. Suggested Usage: As a dietary supplement, take 2 capsules prior to bedtime.